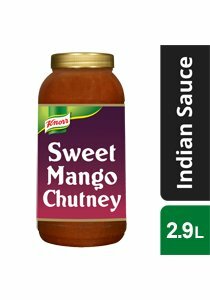 KNORR Patak's Sweet mango chutney blends mango chutney with spices to produce a sweet accompaniment. The perfect accompaniment for curries and Indian dishes. Serving per pack - 90. Serving size - 32 g.